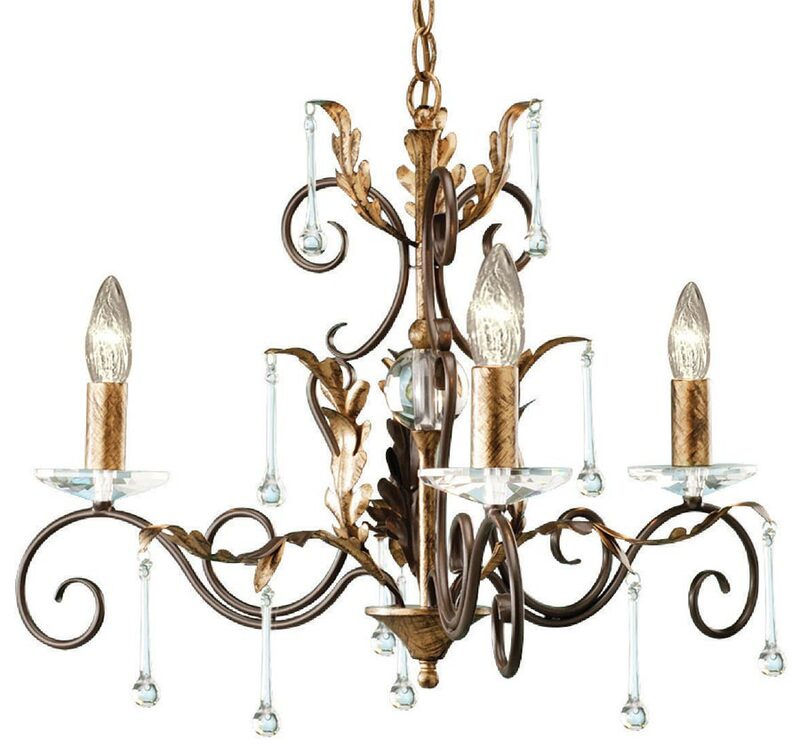 This Elstead Amarilli bronze and gold 3 light chandelier is made in Britain and boasts traditionally hand forged scrolls, antiqued oak leaves, clear glass drops and cut-glass sconces. Featuring a ceiling mount, chain link suspension and sweeping scrolled metalwork frame, with three arms dressed with antique gold finish oak leaves and fitted with candle style lights; boasting cut glass sconces, candle tubes and clear glass teardrops hanging below. Hand crafted and finished in bronze and gold patina, this wonderful chandelier is designed and manufactured entirely in England and can easily be converted to a semi-flush light for rooms with a low ceiling. The classic Italian style, stunning finish and glass teardrops combine to create an eye-catching focal point that is ideal for any traditional or period setting. Ideal lighting for a hallway, over a dining table, in a bedroom or living room. Height adjustable at the time of fitting by removing chain links or can be fitted as a semi flush; please see the technical information below for dimensions. 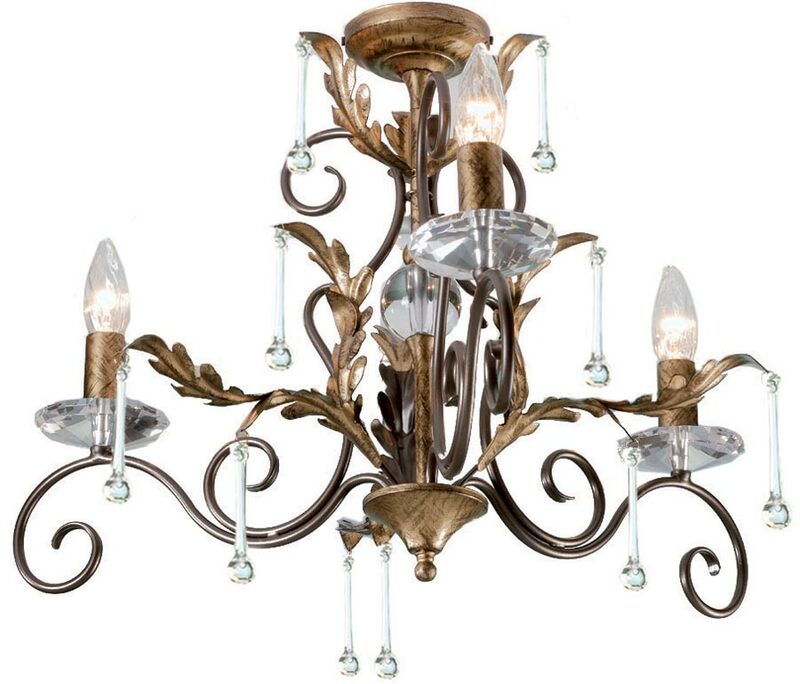 There are matching fittings available in the Amarilli bronze and gold finish collection that includes five, ten and 15-light chandeliers, a table lamp and twin wall light; please see below for the complete collection. This classic light is supplied by Elstead Lighting, a British company that specialise in the manufacture and distribution of quality decorative lighting such as the Amarilli bronze and gold 3 light chandelier you see here.